The second the salesperson showed me the labels, I was sold! This is not my primary wallet where I store my cash, ID, debit card, two coffeehouse loyalty program cards, two insurance cards and stamps. 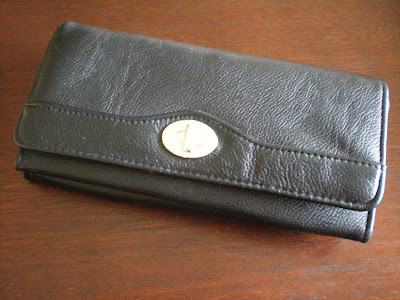 I have a black leather one from Florence for all that. 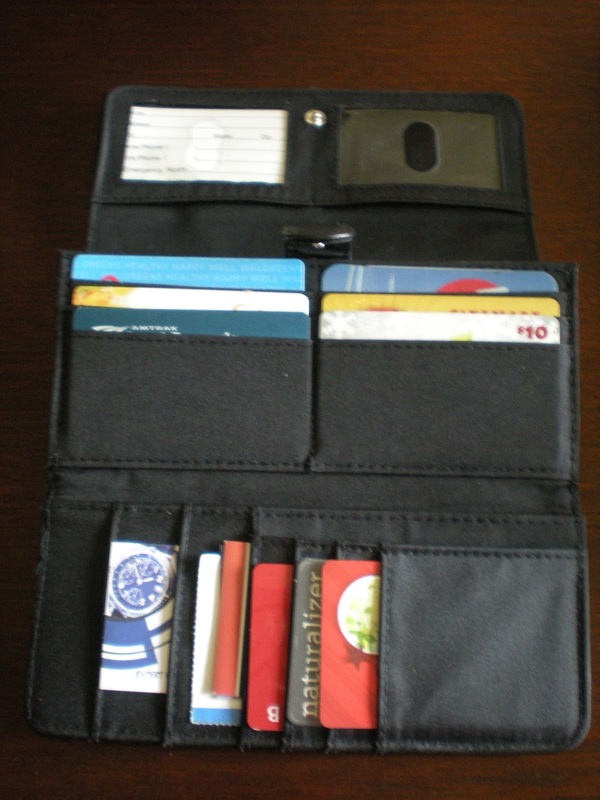 This new purchase organizes my coupons, receipts, loyalty program cards, gift cards, business cards, dental appointment reminder card, voter registration card, library card and change. 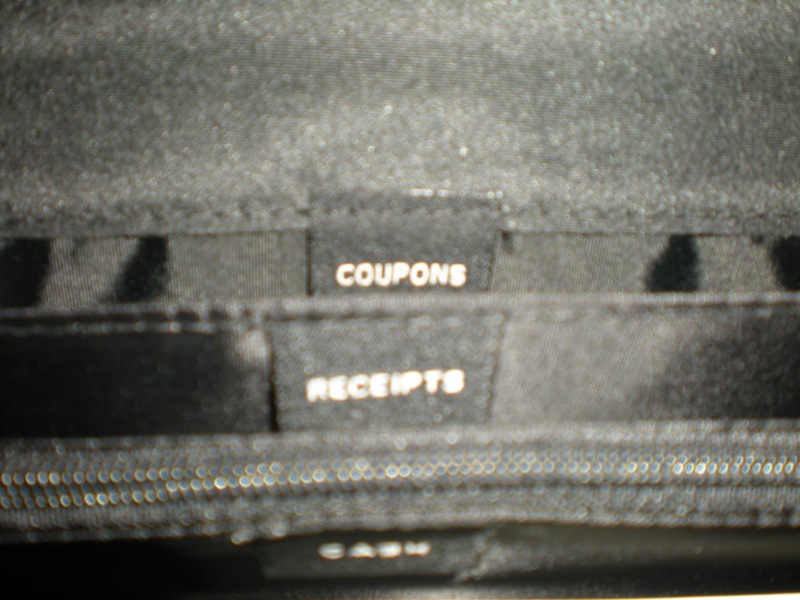 On the back, there's a pocket with zipper closure for easy access to coins. My previous one was a quarter of the size of this one and I am pleased that I replaced it with something that actually works for me! The old one had a really cute owl on the front, cute but novelty, not really me. It bulged with stuff and as a result, the seams were ripping. The replacement was $20 which is a pretty decent price. I'll probably get my money's worth out of it! Sorry this post is fashionably late! I love the labels! Seriously would be helpful. Me too! Thank you. Not exactly sure why I didn't get something that worked well for me sooner! 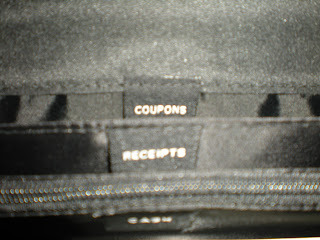 I'll use this until I have all my coupons in email or via app. I seriously need to get more tech savvy.